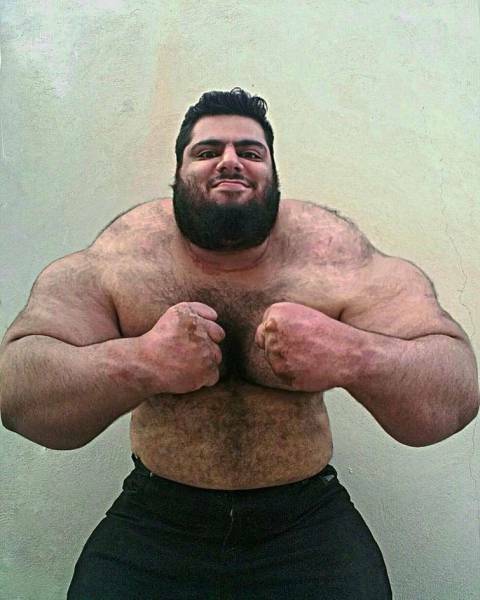 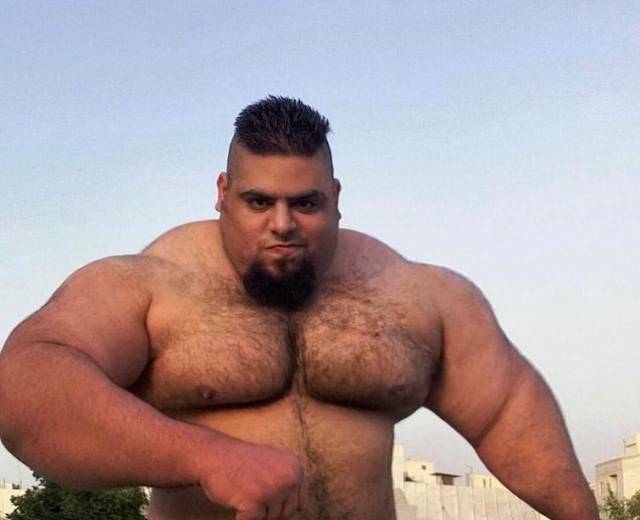 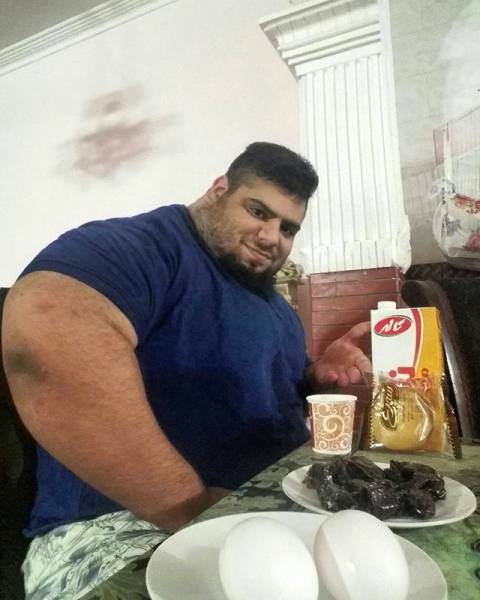 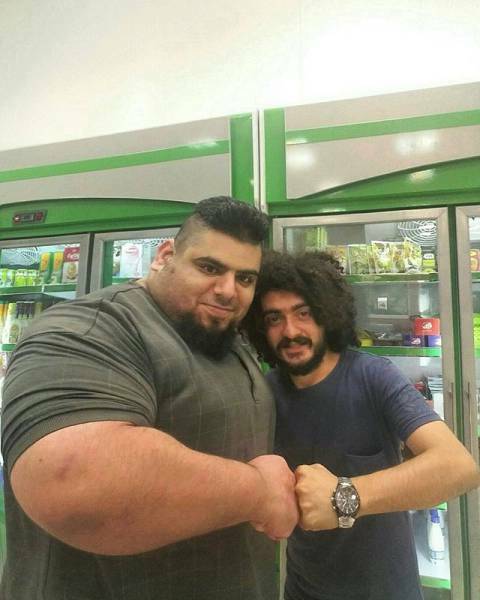 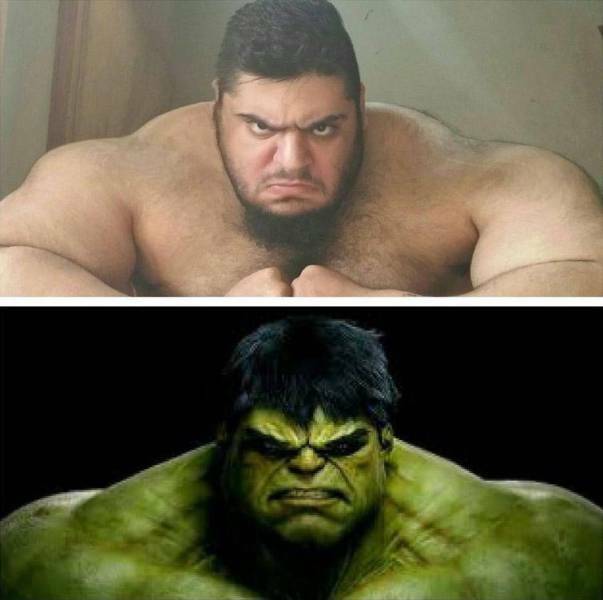 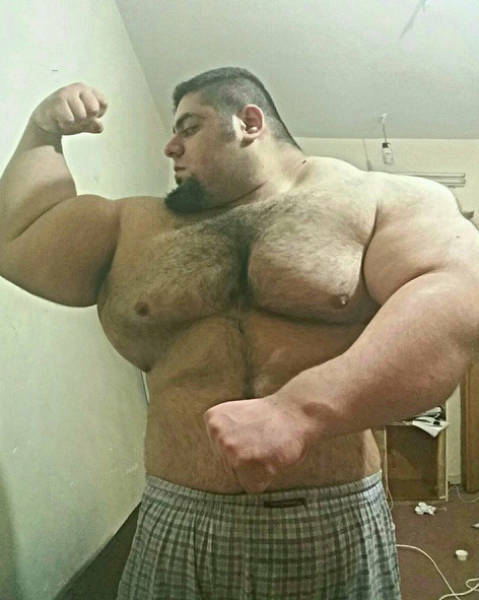 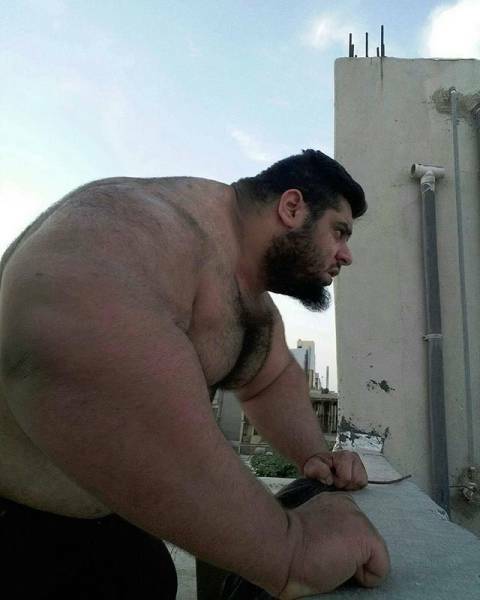 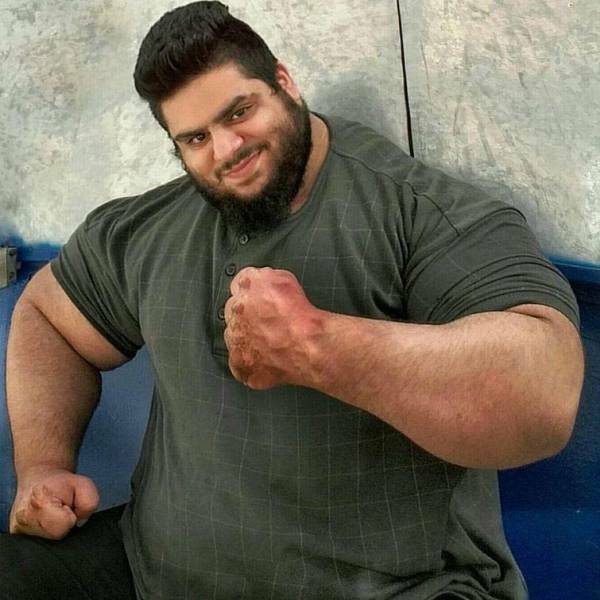 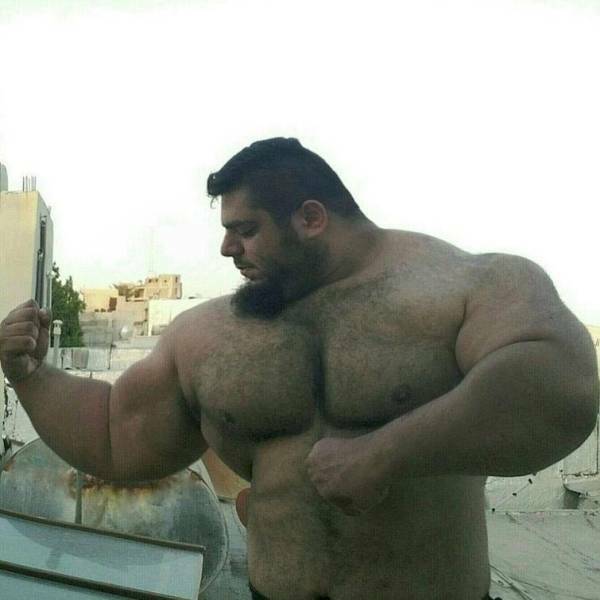 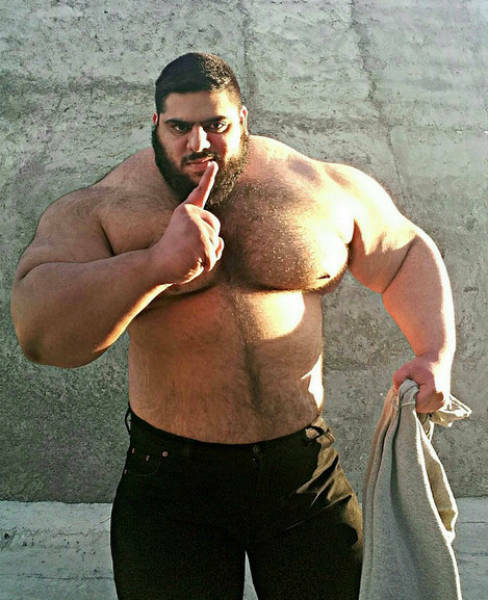 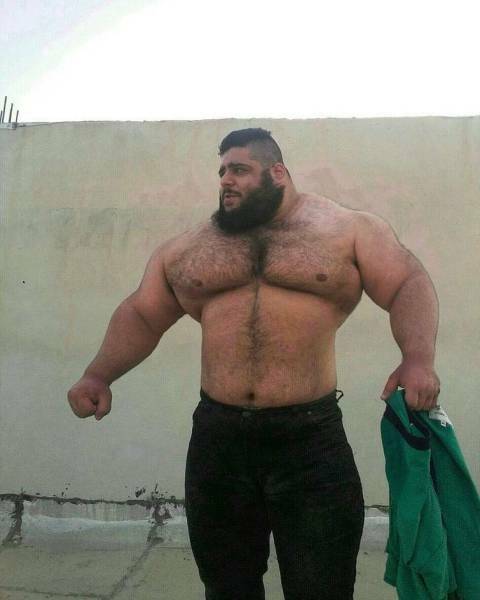 24-year-old Sajad Gharibi is a powerlifter from Iran weighing impressive 155 kg (24,5 stones). 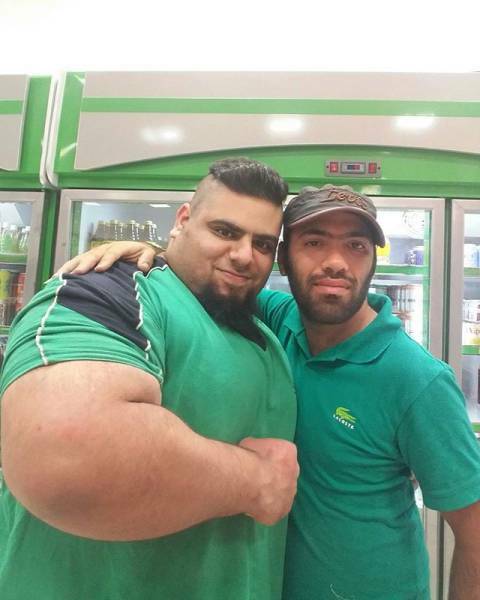 The giant has over 60 thousand followers on Instagram where he posts the photos of him from his everyday life. 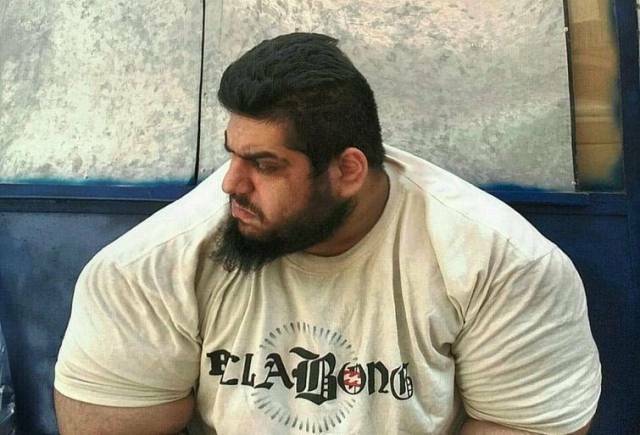 He takes part in the powerlifting category of competitions and has also participated in bodybuilding competitions representing his country. 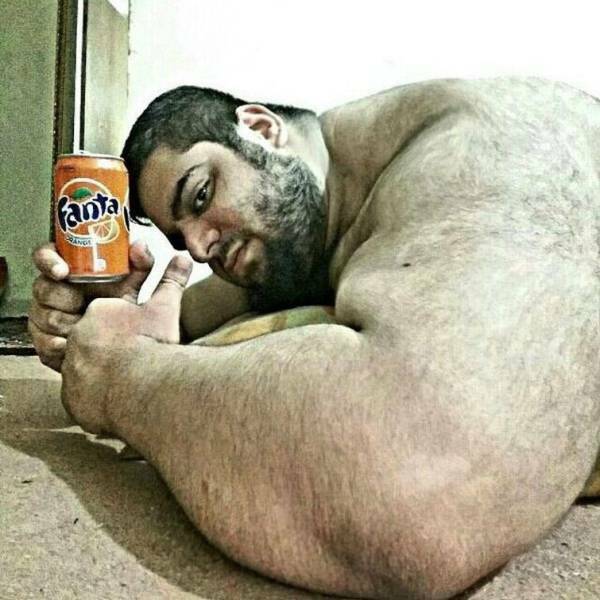 He likes to take pictures of himself with ordinary objects so people could realize just how big he is.